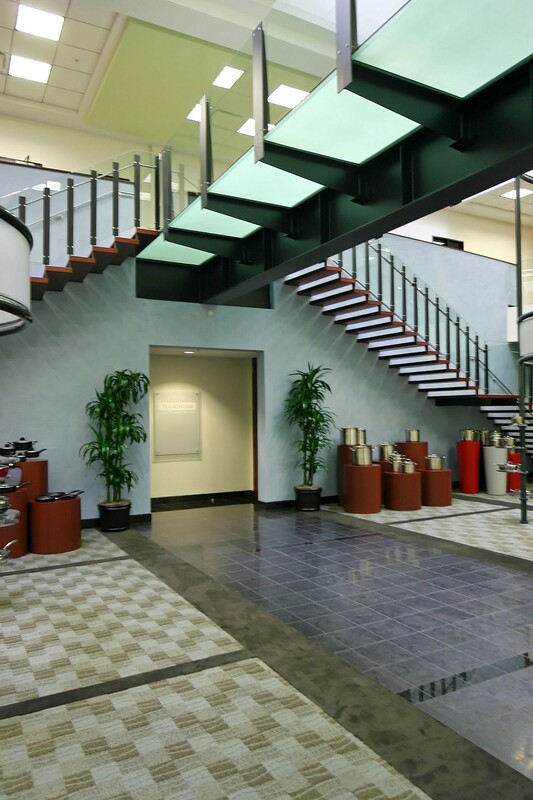 The renovation of Tramontina’s USA Headquarters includes a significant two-story lobby space made symmetrical by the addition of an infill mezzanine on the east side. Off this clerestory lit space, are public restrooms, visitor offices, and access to the main boardroom. 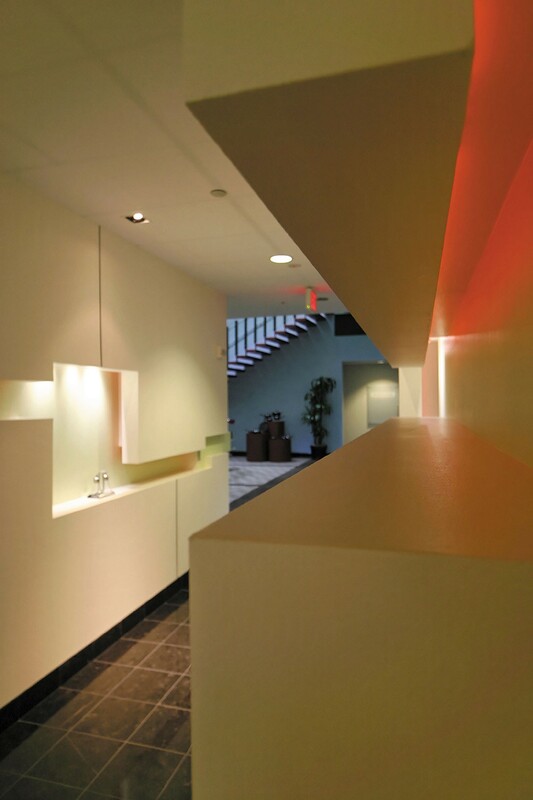 The renovation was designed to provide the visitor with a series of experiences through the space. 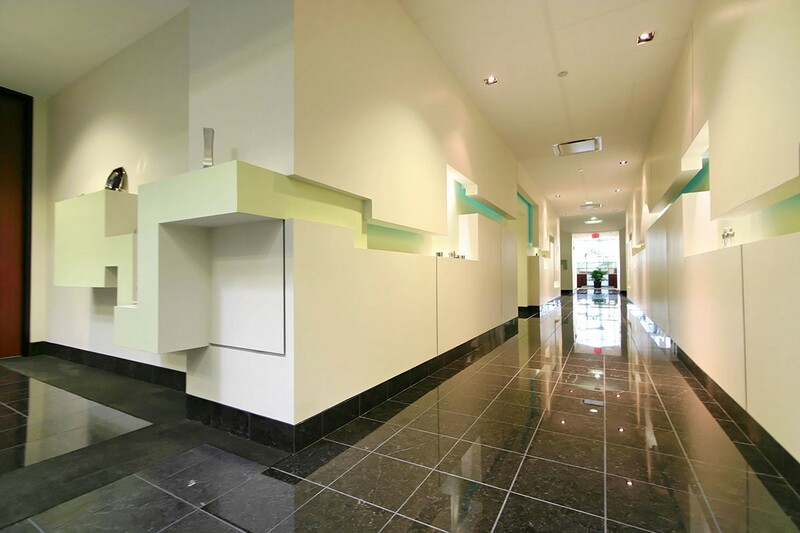 Beyond the lobby and controlled reception desk, is the main gallery. This linear space is designed with a “thick wall” carved out to provide display space for products designed by Tramontina. The next major space in the sequence, is a grand display room. 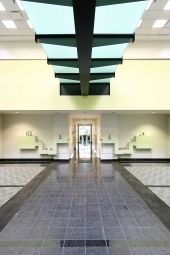 It balances the double volume lobby and forms the main social space for corporate operations. A light, cantilevered wood and glass stiled stair attached to a cool blue polished Venetian plaster wall animates the space. The stair provides access to a glass floored bridge that divides the second level space while connecting the main executive suites to the support offices on the rest of the floor. Granite was used to define circulation through the sequence, while carpets introduced color and pattern. 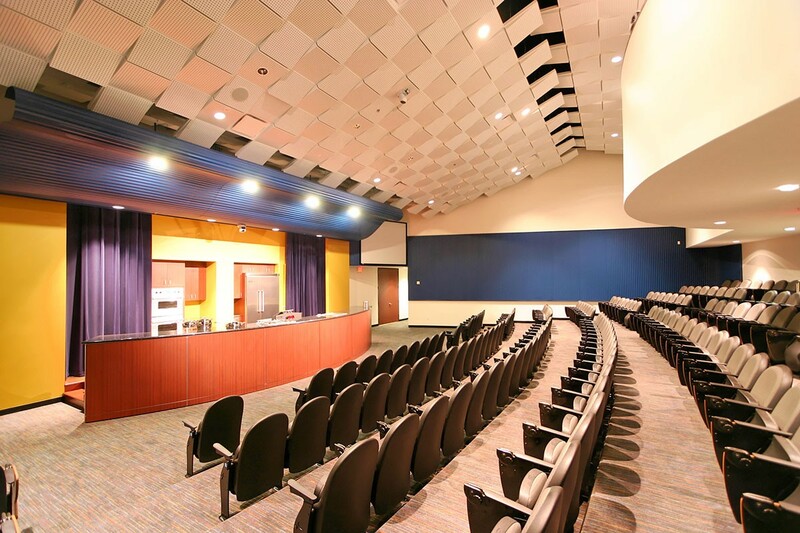 The auditorium was designed to accommodate over 200 for product demonstrations and future recordings for syndication. 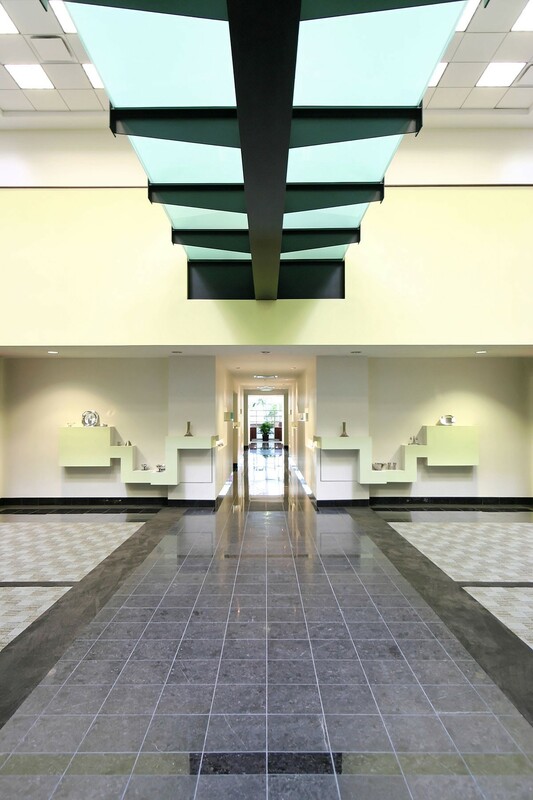 Therefore, great care was taken in selecting an appropriate acoustical ceiling and wall panels. 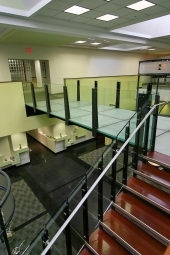 Custom, moveable millwork pieces were designed to connect with utilities below the auditorium stage and allow the demonstrator flexibility.